What is a defect liability period? Congratulations, your property is finally ready. Construction is complete and you are now a proud owner. While the main interest is now to ensure a quick return on investment by renting out the property as soon as the building completion certificate is signed, which officially allows the occupation of the building, it is also a very critical time to carefully audit the property. 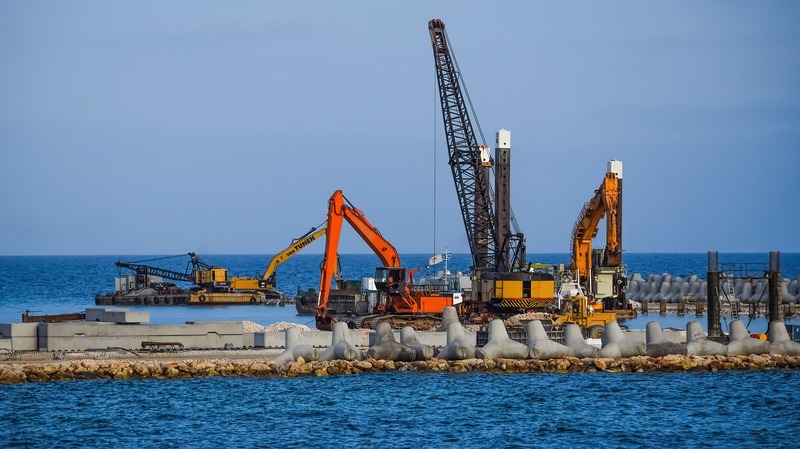 The so-called defect liability period (DLP) has started — it is a set period of time after the construction of the project has been completed, during which the contractor has the right and must return to the site to remedy any defects. A typical DLP lasts 12 months. Any defects or faults that arise during this period are classed as obvious defects and are discovered by normal examination. Alternatively, these can be hidden defects that can only be discovered after a period of time, after usage and occupation, for example due to defective materials or workmanship leading to water leakage. These defects must be put right by the contractor at the contractor’s own expense. The inclusion of a defects liability period in a contract benefits both the contractor and the developer. For the developer, it provides an opportunity to request that the contractor return to site and remedy a defect, while for the contractor it is usually cheaper to return and remedy a defect than pay for the developer’s losses. It is also worth noting that a defect, which is not discovered until after the defects liability period has expired, is still a breach of contract for which the contractor is liable, subject to limitation arguments. In this circumstance, the contractor has no right to return to the site to repair the defect, but is liable to the developer for damages. The inclusion of a defects liability period in a contract arguably benefits both the contractor and the developer. For the developer, it provides an opportunity to request that the contractor return to site and remedy a defect, while for the contractor it is usually cheaper to return and remedy a defect himself than to be asked to pay for the developer’s losses in arranging for someone else to remedy that defect. Having a practical contractual remedy can, therefore, save the parties time and cost compared to arbitration or litigation. In-depth property inspections during this period become essential for the developer, as it will not only ensure the quality of the property, but also control the repairs and future costs. This is the time for the developer to scrutinise the development for any flaws and faults. The audit and reporting is ideally done by an independent third-party inspection company or the employed service provider, the maintenance facilities team, if the development is being occupied. It is not unusual for a contractor to dispute the claim as a maintenance complaint rather than a defect. Over a period of one year, there may be many meetings that will take place to scrutinise and follow up on the completion of the reported defects. Any change in service provider during this short period may have a negative impact on the landlord, therefore, increasing the cost and time factor. Specialist equipment requires proper inspection and snagging as some service providers might not be well versed with the operation and knowledge. Several training sessions are compulsory to be provided by the original manufacturer and installer to ensure the on-site operation team is familiar with the system and operation of the unit, e.g. BMS, BTU, CCTV, gate barrier, access control, swimming pool, steam and sauna, Jacuzzi, HVAC system, heat exchanger, district cooling, etc. Usually, subject to the contract, a material stock of between 10 per cent and 15 per cent is to be acquired from the main contractor in respect to tiles, granite, marble, door locks and handles, V-belts, smoke, heat and multi-sensor detectors, pull stations, manual call point and paints, which might not be available in the market in the coming few years or a five- to eight-year period. Care is taken while signing any documents in respect to DLP snags as there might be a hindrance in the future for the execution of certain tasks. It is not uncommon that defects are seen as design defects, which make rectification difficult and will remain an added expense during the building operation, such as inadequate building façade cleaning provision and obstructed service access to the building MEP infrastructure. This requires careful examination and cross verification in drawings. In essence, the defect liability period is the only time the developer can lay claim to any unfinished, defective and substandard quality to be rectified by the contractor. Proper coordination and follow through to control and ensure the rectification will ultimately save from future escalating expenses under the developer. Once the retention money is released to the contractor, the developer has agreed to the condition of the property to his or her satisfaction and as such, will take over full liability over the property.